'Diplomatic language and formal language: a code with a double meaning' is an article from the book 'An Expert's Guide to International Protocol' written by Olivier Arifon, Professor at the Université libre de Bruxelles. 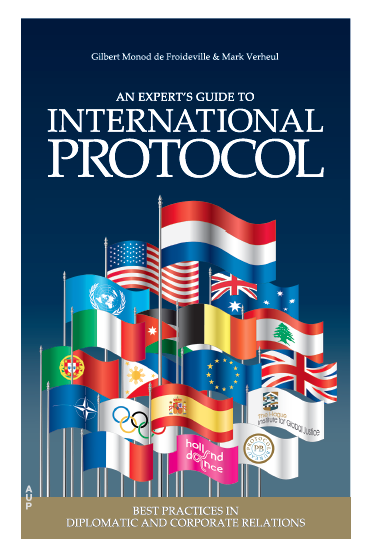 'An Expert's Guide to International Protocol'. In France and, by extension, in other chancelleries until the beginning of the twentieth century, the language used in diplomacy had its roots in the language of the court, more specifically that of the court of Louis XIV, which explains the place of French as the language of diplomacy (Fumaroli, 2003). The present article attempts to provide a historical and anthropological perspective on the forms of expression used by diplomats. I shall address why diplomatic language is both formal and necessary, characteristics that bring it closer to doublespeak (Delporte, 2009). The notions of ambiguity, context, emotion, and values shall be dealt with. I shall also try to show why decoding techniques are necessary to shed light on hidden meanings, the stakes and strategies involved. Indeed, diplomacy is based to a large extent on language and the received and perceived meanings of the phrases and arguments put forward. The language of diplomacy has both an internal–among diplomats—and external—for the public and the media—dimension. The present work draws upon my experience as attaché for university cooperation with the ministry of External Affairs, trainer of French and foreign diplomats in Singapore, and discussions with foreign diplomats. Finally, it is focused on the French language for two reasons: first, because it is the ‘historical’ language of diplomacy and second, because it is my mother tongue. We may argue here that in other languages too speech acts are subject to similar constraints and formality, even if accounts suggest that English and the Anglo-Saxon relational style make for simpler and more direct relations. On the basis of these aspects, it is possible to consider, in concurrence with discourse analysis studies, that the language used in diplomacy is an ordinary language and not a technical discourse (except in some rare cases, such as the negotiations leading to the Iran nuclear deal of 2015). Doublespeak as defined in our research is conceived as a set language consisting of stereotype phrases and related to political discourse. In everyday language, the term refers to a constrained manner of expression, generally thought to be pejorative. Studies on doublespeak highlight the absence of a precise message, which invades space to prevent any sensitive discourse, characterised by sincerity. As discourse appears to be powerless to change the world, the speaker uses language - or rather doublespeak – to articulate the world in accordance with a given order of power. Accordingly, language is constrained and its value becomes a substitute for meaning. A distortion between deeds and words comes into play, as Thomas Legrand observes: « […], c’est plutôt une mauvaise appréciation de la puissance de son discours ou de la puissance de la réalité face à sa propre volonté ! » [It is rather a poor appraisal of the power of one’s discourse or the power of reality in the face of one’s own desire) (Legrand, 2010: 27). Finally, doublespeak is different from administrative jargon; the former aims to convince, the latter incites one to act in a given sphere. In the case of the language of a totalitarian regime, an idiom pushed to the extreme, the subjugation of language serves to reduce the critical faculties of the listener. Victor Klemperer, a philologist under pressure during the Nazi regime, wrote in his analysis of the language used by it: “… the listener’s emotions (and Goebbels’s audience always comprises listeners, even if it only reads the doctor’s essays in the newspaper) never come to reset, they are constantly attracted and rebuffed, attracted and rebuffed, and there is no time for critical reasoning to catch its breath” (Klemperer, 1996: 327). From a tool for reasoning, language becomes an emotion centric discourse. In his book 1984, George Orwell invented Newspeak using single word concepts with a very restricted meaning. The language of diplomatic exchanges and writings is far removed from such extreme approaches. In place of a set language or emotional logic, we suggest fuzzy logic in a formal framework. Thus, paradoxically, a positive language embodying the specificities of diplomacy becomes a part of political discourse and constitutes the art of persuasion in the uncertain and ephemeral context of diplomatic negotiation. The aim of course is to enunciate enduring convictions. But as diplomatic language has political overtones, it shares some of the features of political discourse such as avoidance, ambiguity (of meaning), understanding (of position) or even dissimulation. In the eyes of the public and observers of international relations, it is these aspects that give rise to the perception that diplomatic language is merely doublespeak. When diplomacy as a profession began to expand and become organised in the European courts during the modern era, some diplomats wrote about the necessary attributes of a good diplomat of which evidently mastery of language was a part. Under the strong influence of relations among the European monarchies of the seventeenth and eighteenth centuries, these attributes were first and foremost signs of good breeding. One of the oldest works entitled «De la charge et dignité de l’ambassadeur» by Jean Hotman de Villiers was written in 1604. It is a pragmatic work in which the author attempts to define the qualities of a diplomat. Knowledge of history and culture and the ability to express oneself promote “le contact avec les autres, une communauté d’apprentissage, alliant les pratiques et les théories, le passé et le présent, l’expérience, la découverte et l’application personnelles, aussi bien que les cours formalisés, l’étude et la réflexion.” [Contact with others, a community of learning, combining practice and theory, past and present, experience, personal discovery and application, as well as formal classes, study and reflection.] (Hotman de Villiers, 2003: 20). In a similar vein, the Spanish Jesuit Baltasar Gracian published in 1647 « The Art of Worldly Wisdom ». The book portrays a man who from a courtier became a diplomat. A short essay by Baron d’Holbach gives a caustic description of the courtier in the presence of the monarch: “Under the cover of friendship he knows how to lull his enemies, show an open, affectionate face to those he most detests, embrace with tenderness the enemy he’d like to suffocate. Finally, the most impudent lies mustn’t produce any alteration in his face” (D’Holbach, 2010: 18). Closer to our times, the works of Norbert Elias incorporate these qualities of the court system into the mechanisms of self-control and strategic relations (Elias, 1985). Norbert Elias combines etiquette with the essential motivation of members of the court, namely prestige and recognition. Thus, “par l’étiquette, la société de cour procède à son autoreprésentation, chacun se distinguant de l’autre, tous ensemble se distinguant des personnes étrangères au groupe, chacun et tous ensemble s’administrant la preuve de la valeur absolue de leur existence.” [As a matter of etiquette, the court society proceeds to its self-representation, each one distinguishing himself from the other, collectively distinguishing themselves from those outside the group and individually and collectively administering to themselves the absolute value of their existence.] (Elias, 1985: 97). When all is said and done, a good ambassador of the classical era was one who possessed a sense of tradition and had inherited or acquired natural social skills in osmosis with the great courts of Europe. He was someone who cultivated style and eloquence, conscious of his values and of pleasing and civil manners. In fact, the memoirs of ambassadors often emphasized these social skills and ways of conducting oneself, akin to good breeding. Little is said about language; instead the stress is on physical behaviour and the degree of individual freedom a serving diplomat enjoys. This shows the extent to which the context, the forms, and the structures of the profession condition the modalities of expression, both verbal and non-verbal, as pointed out by Martine Kingston de Leusse (1998: 86): “À partir de son entrée en accréditation, l’ambassadeur se trouve dans un milieu fermé où les actes, les vêtements, les gestes, les formes de sociabilité revêtent une spécificité qui permet d’en faire le support institutionnalisé de l’échange diplomatique courtois et pacifique.” [From the moment of his accreditation, an ambassador finds himself in a closed milieu where actions, clothes, gestures and forms of sociability take on a specificity which allow them to become the institutionalized support of courteous and peaceful diplomatic exchange.] The ambassador effaces himself as a subjective individual; he marshals his arguments and chooses his words with care, a reflection of his social skills and the political position of his country. A scene from Nicolas Ray’s film 55 Days at Peking illustrates this clearly. The British ambassador is talking with his wife when his secretary opens the door and announces a visitor: “Commander Lewis” (an officer in the American army). In the courts of Europe and later in international organisations, control of gestures and attitudes is paramount. Kings and emperors, high-ranking officials, mandarins and diplomats are supposed to remain in control of their emotions and bodies, regardless of whether this is actually the case or imposed by social frameworks and cultural codes. As the diplomat moves in circles that overinterpret signs, he must take into account the effect of his control (or lack of control) over his words and emotions to describe a situation or the terms of an exchange. The choice of words is of the essence. And beyond the mastery of speech, the manner in which he expresses his emotions in an exchange serves, in turn, to arouse the same feelings in the person he is addressing, in other words we are dealing with the register of persuasive charm. Though this could be dangerous, for an expressive man runs the risk of revealing himself: “In order to live at court one must have complete control over the muscles of one’s face in order to experience disgust without flinching. A pouter, a man of moods or susceptibility cannot succeed” (D’Holbach, 2010: 17). The expression of ideas and emotions is also limited by the incompleteness of language, a dimension revealed by linguists (Goldschmidt, 2009) and ethno methodologists (Lecerf & Parker, 1987). These scholars have shown, often convergently, how language does not allow for complete expression of ideas and emotions. Indeed, when the individual who speaks its appropriate language, there can always be misunderstandings, errors, and shifts in meaning, blanks and gaps. This creates a distance between the two speakers, a median space constituting the relationship between the two. The essence of diplomacy is to use everyday vocabulary and combine it with a specific code, namely the code of relations among states and the individuals entrusted with the task of negotiating with each other. Beyond this code, and as recommended in the principles of negotiation (Dupont, 1992), the attempt should be to understate words and emotions. · One should maintain one’s rank and show self-control; expressing disagreement while keeping a smiling face is the perfect illustration of this. · One should also not offend one’s interlocutor, for getting angry can interrupt or even break the dialogue and thereby the negotiation. · Caution is the keyword of diplomacy, and this for two reasons. Both sides must avoid offending each other or saying too much about their positions; speaking too much can also hamper the smooth progress of negotiations. · Finally, one should avoid showing one’s weaknesses, which may be divided into two categories: insufficient mastery of subject in case of technical matters, or the desire to stand on prestige and symbolic power (here, any sign of weakness on the part of the other may be interpreted as a factor favorable to one’s interests). In conclusion, the forms of expression used in diplomacy reflect the respect given to the representative of a state. The types of expressions and emotions help in perpetuating relationships, both human and political. A diplomat’s experience is directly related to his practice and the extent of his resources: similarities with other situations, quality of his information, training, and culture. Such experience helps him adapt to different contexts while remaining effective, for deciphering and adapting to changing situations is what the profession is all about. The trick is to have the cognitive, cultural, and communicational resources to apply them on the one hand and on the other, accept a certain amount of incomprehension and uncertainty in the situation as well as the social, political, and communicational elements that make up diplomacy. We are of the view that these frameworks of experience (Goffmann, 1996) constrain the diplomat and his language. And in the public mind, this is no different than doublespeak. Diplomatic language is a subset of political language that thus relies on the same categories such as rhetoric, persuasion and manipulation, attention to the signifier and the signified… Historically, the West developed early on the art of oratory. Rhetoric, born in Greece at the beginning of the fifth century B.C., is part and parcel of democratic, legal, and commercial systems. Even today, this discipline is considered the art of acting through speech on opinions, emotions, and decisions. One of the attributes of a diplomat is the ability to interpret vague and ambiguous elements to give him some leeway to maneuver. This vagueness is embodied in the words and forms of the discourse and has several names. It may be perceived as or called a euphemism. In the same vein, the French language uses the litote, a figure of speech that, by attenuating the expression of one’s thought, lets one suggest more than what it actually said. One little-discussed aspect of diplomatic discourse, namely ambiguity, needs to be stressed here. There is a distinction between semantic ambiguity (a single statement with several meanings) and strategic ambiguity, a voluntary act between statement, speaker, and recipient. For the analysis of acts of communication of diplomacy, the notion of ambiguity is essential, as it allows one to decipher the roles and behaviour of the actors. The French language is replete with synonyms and expressions which bring out the depth of this notion: ambages, allusions, demi-mots, contenus latents, sens cachés, sous-entendus, arrière-pensées [beat about the bush, allusions, hints, hidden agendas, hidden meanings, innuendos, ulterior motives.] The processes of language, the ways they are understood, in a word, the analysis of the situations of discourse, silences, and assertions is an ability every diplomat must possess. Indeed, there is frequent uncertainty between cultural systems and value systems among diplomats. This is fully reflected in the strategies and skills of negotiators. “La stratégie de communication ambiguë permet en effet de maintenir le doute chez l’interlocuteur. Certes, la communication est parfois rendue plus claire en cas de réaction favorable, mais bien souvent elle est laissée en l’état pour maintenir l’autre dans le doute. Elle permet aussi d’influencer l’impact final des signaux afin de gagner un plus grand contrôle sur les images que d’autres ont de l’émetteur.” [The strategy of ambiguous communication helps keep one’s interlocutor in doubt. Certainly, at times communication is made clearer in case of a favorable reaction, but very often it is left in such a state as to keep the other in doubt. It also helps in influencing the final impact of the signals in order to win greater control of the images others have of the speaker.] (Villar, 2006: 175). However, it is not always a question of sidetracking or impressing one’s interlocutor. Formal language has its usefulness in diplomacy: words help neutralise or soften what they describe. Examples of such words are enlightening. Thus, when a diplomat is “surprised” at something, he is in point of fact expressing his dissatisfaction or disagreement about the ongoing situation. When he “denounces,” it means things are going badly. When he “condemns,” the situation is thought to be very serious. Similarly, when he “regrets not being able to respond favorably to the request,” it is an elegant (and classic) way of indicating refusal to one’s interlocutor. “The negotiations were frank and must be pursued further” indicates nothing substantial was achieved but that the partners decide to continue meeting each other so as not break the contact. In this regard, one of my interlocutors told us of an interesting case. On 1 April 2000, the secretary-general of the French ministry of Foreign Affairs, the second in command after the minister, wrote a diplomatic telegram. This contained all the forms and rituals of language a diplomat normally uses, the author delighting in playing on the ambiguities allowed on account of it being April Fool’s Day in France. Sadly, I was unable to obtain a copy of it. Finally, Marcel Proust expresses the same thing in his inimitable style while referring to the Marquis de Norpois, a diplomat: “Miserly in the use of words, not only from a professional scruple of prudence and reserve, but because words themselves have more value, present more subtleties of definition to men whose efforts protracted over a decade, to bring two countries to an understanding, are condensed, translated – in a speech or in a protocol – into a single adjective, colorless in all appearance, but to them pregnant with a world of meaning.” (Proust, 1993: 91). This brings us to the heart of diplomacy. 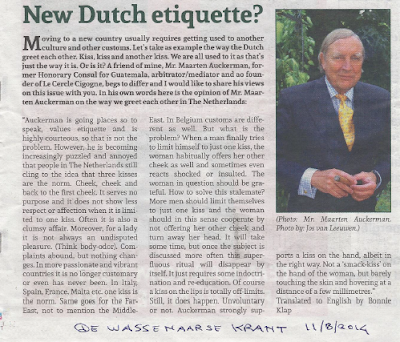 As the custodian of good manners and a negotiator conscious of the historical ties with his partners, the diplomat is at times obliged to remain vague. In fact, the essence of political discourse is to create spaces, usable at any moment and in multiple forms, to maintain the relationship, the negotiation, and in the end, power. These spaces form the median space between two individuals, allowing for the construction of a dialogue, the very core of the interaction and mediation process. These variances and representations only strengthen the public view of diplomacy as a distant and set profession, the very criteria attributed to doublespeak. Indeed, an ambassador always functions within an official framework. While working together, a diplomat made the following remark: “Ce collègue (d’un autre pays) est un vrai ami. Je peux parler de tout avec lui.” [This colleague (from another country) is a true friend. I can talk to him about everything], implying that he could drop his diplomatic discourse and that representation was a constitutive dimension of diplomacy. We would like to conclude with the work of Charles Cogan (2003) on the French style. The ambassador identified six strategic and communication characteristics of a French diplomat: deductive approach, logic of arguments (built on the belief in Reason), care given to clarity of expression in order to convince, knowledge of history, Latin panache and the awareness of the need to stick tenaciously to one’s position (based on Reason!). Thus, “For the French, it is in the order of things to find a philosophical framework first, to establish a vision of things, before entering into practical matters” (Cogan, 2003: 44). At the end of the speech, those present in the room rose to give Dominique de Villepin a standing ovation, unprecedented in the history of the Council. It marked a break from normal practice in the Council. Clearly, such a demonstration in this polite, even regulated space was indeed unusual. A comparison of these elements with the tenor, style, and form of Dominique de Villepin’s speech is enlightening, as Charles Cogan notes with finesse: “Conceptions of honour are closely associated in France with the highly esteemed notion of glory (la gloire), which in turn is seen as a close companion to such French concepts as élan, panache and cran, all of which stand in contrast to the (nevertheless secretly admired) British phlegm” (Cogan, 2003: 45). He goes on to add: “French negotiators pride themselves on their eloquence and their ability to present a logical, carefully ordered argument. The worst insult that can be laid at the foot of a French negotiator, according to several French interlocutors, is that of incoherence” (Cogan, ibid: 137). The concern for precision and beauty of expression is typically French, though I lack the space here to expand on it any further. This leads some to say that French by its very structure is the language best suited to diplomacy. And so we come back to our starting point: the historical context, the political dimension, along with the common perception of the French abroad, the feeling of superiority and arrogance are the elements that make up the modalities of expression and communication of French diplomacy. Diplomatic language must be viewed from two perspectives. The first is the paradox of a formal language, necessarily presenting ambiguities. As we have seen, this language with its specificities is at the service of diplomats to build relations and communication among themselves. It is thus for internal usage, and a diplomat’s experience enables him not to be misled by his colleagues. However, the opaque meaning of words, associated with the classic image of diplomacy, makes the public discredit this language, as it lacks transparency and does not correspond to what “true” communication should be. As such, the diplomat’s discourse may be described as doublespeak on account of the formal framework in which it is delivered. However, diplomatic language also has a political dimension; it is addressed to citizens and the media and in a democracy everyone is keen to understand the meaning of what is being said, which gives it an external character. For this purpose, in a society of communication decoders, journalists and specialists are major and essential players whose work is to decipher the internal codes so that they become accessible to the public at large. 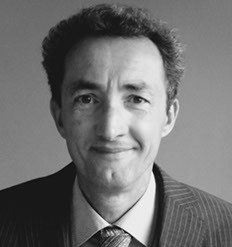 Olivier Arifon, born in Paris, is Professor at the Université libre de Bruxelles in charge of the chair in Communication. He teaches Influence, Lobbying and Communication, Competitive Intelligence and Public Diplomacy” with a European perspective, introducing experts and case studies as well as theoretical elements. From 1997 to 2011, he was an associate professor at the University of Strasbourg (France) on the same topics. Besides academic activities, he led a communication company for five years, was an expert in training of diplomats and managers in Poland, Croatia, France, and Singapore, and fulfilled the position of high education attaché for the French ministry of Foreign Affairs in Germany for two years. In his research, he examines how companies and civil society are developing successful strategies, considering Brussels’ activities as a model. In a comparative perspective between Europe and Asia (India), he identifies methodological approaches and communication policy for European or Indian protagonists of civil society. He is the author of more than fifty papers, book chapters, and articles in mostly academic journals. Chosson, Martine, Parlez-vous la langue de bois? Points, Paris, 2007. Cogan, C., French negotiating Behavior, Dealing with la Grande Nation, Washington, Institute of Peace Press, 2003. D’Holbach, Essai sur l’art de ramper à l’usage des courtisans, Paris, éditions Allia, 2010. De Wilde d’Estmael, T. Liégeois, M. Delcorde, R. La diplomatie au cœur des turbulences internationales, Presses universitaires de Louvain, 2014. Delporte, C., Une histoire de la langue de bois, Paris, Flammarion, 2009. Dupont, Christophe, La négociation, Paris, Dalloz, 1992. Elias, N., La société de cour, Paris, Champs Flammarion, 1985. Fumaroli, M., Quand l’Europe parlait français, Paris, Poche no. 15418, 2003. Goffman, E., La mise en scène de la vie quotidienne, Paris, Éditions de minuit, 1996. Goldschläger, A., Le discours du pouvoir, Belin, Paris, 1983. Goldschmidt, G.-A., A l’insu de Babel, Paris, CNRS éditions, 2009. Hotman de Villiers, J., De la charge et dignité de l’ambassadeur, Paris Cergy, Essec Iréné, 2003. Kingston de Leusse, M., Diplomatie, une sociologie des ambassadeurs, Paris, L’Harmattan, 1998. Klemperer, V., LTI, la langue du IIIe Reich: carnets d'un philologue, Paris, Albin Michel, 1996. La langue confisquée, Victor Klemperer et la LTI, exhibition catalogue, European Centre of Deported Resistance Members, Bibliothèque nationale et universitaire de Strasbourg, March 2009. Lecerf, Y., & Parker, E., Les dictatures d'intelligentsias, Paris, PUF, 1987. Legrand, Thomas, Ce n’est rien qu’un président qui nous fait perdre notre temps, Stock, Paris, 2010. Lemaire, Jacques, La langue de bois, De Boeck, Brussels, 2001. Villar, C., Le discours diplomatique, Paris, L’Harmattan, 2006.